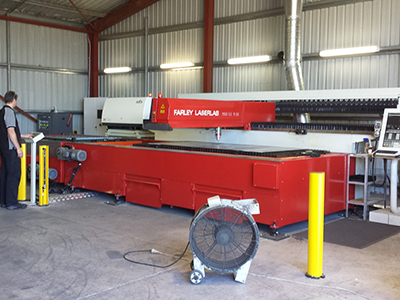 Farley LaserLab's Marvel Fiber Laser Cutting Machine, is the latest machine in our range - now introducing the Latest *Australian ANCA CNC Controller, with again Farley LaserLab supporting Australian manufacturing and give you that piece of mind to get dual local support, rather than buying direct from China or having a German Machine (That is made in China) that only one company can support and will charge you very high service fees. 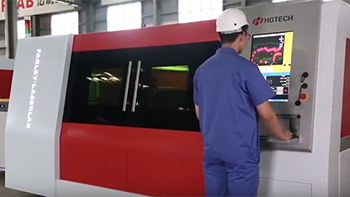 The Marvel Fiber laser cutting machine by Farley Laserlab adopts a gantry-motion structure, linear guide and screw drive, AC servo motor and drives, dual-side fume extraction system that delivers high performance laser cutting quality by equipping with a world leading RAYCUS-2200W fiber laser source. Not only it is highly recommend for carbon steel cutting, but also excellent for SS plate, aluminum alloy plate and copper plate cutting.